YITH Infinite Scrolling lets you show the content of different pages in one single page, with the related settings, the paging will be canceled and contents will be loaded in the same page with an infinite scrolling effect. 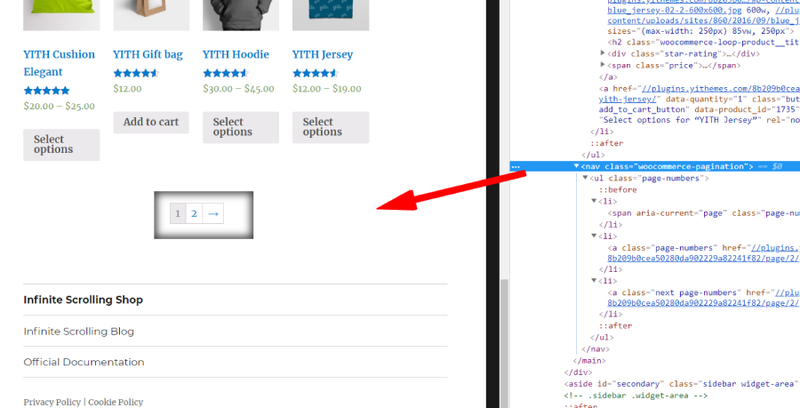 Products are loaded in Ajax and the plugin works on blog and shop pages. The Free Version allows you to enable Infinite Scrolling on one section of your website. 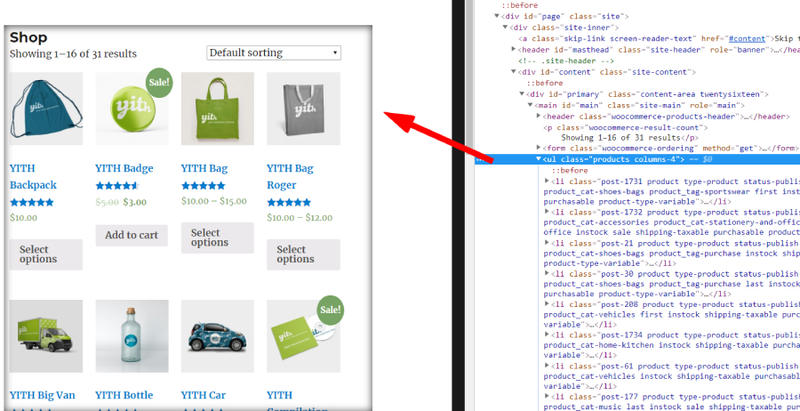 You can enable the plugin under YITH Plugins -> Infinite Scrolling. 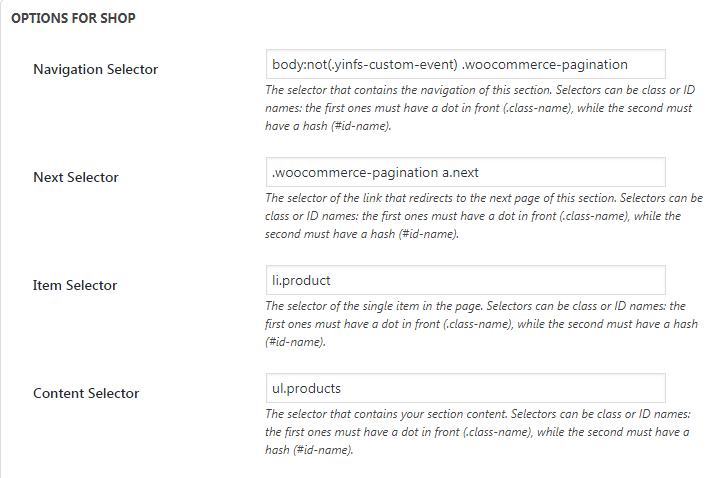 After enabling Infinite scrolling, you can configure the selectors, you can find this option under YITH Plugins -> Infinite Scrolling -> Options for shop or options for blog. You can also select a loader, this option allows you to choose the loader you want to show your customers while they are scrolling and waiting for your products to load, or if you prefer, choose a custom loader that overrides the previous one.